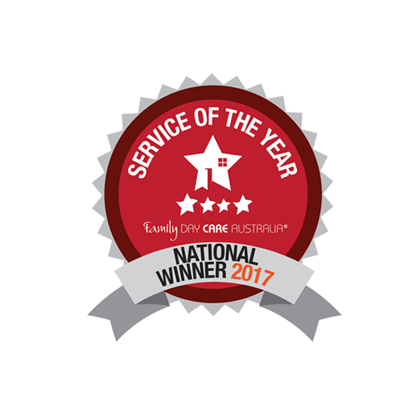 Kids at Home was named as Australia’s best Family Day Care Service in the 2017 Excellence in Family Day Care Awards held in Sydney. As one of four finalists we took out the honour of being named the nation’s best by Family Day Care Australia, recognising our “commitment to supporting the needs of our Educators and providing families with quality, flexible and affordable child care options.” Despite being one of the largest services in Queensland, Kids at Home Family Day Care attribute part of their success to being able to retain a small service feel with a tight and positive team. We’re dedicated to supplying all families with access to affordable, quality childcare. 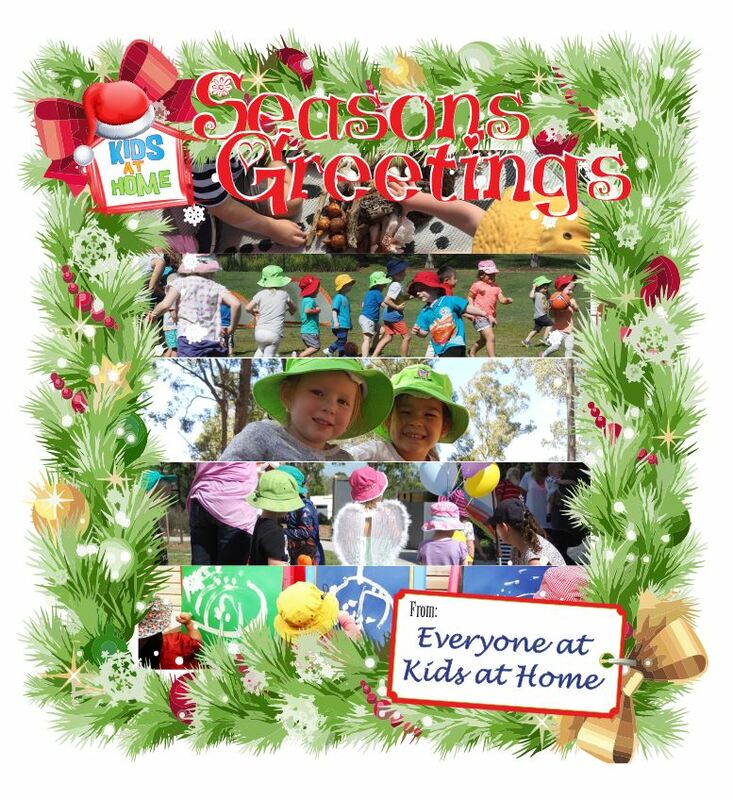 Kids at Home Family Day Care is dedicated to supplying all families with access to affordable, quality childcare. We are more than just a coordination unit, we work very closely with our Educators and Parents, supporting them and building long term relationships that will add ongoing value to them and their children. 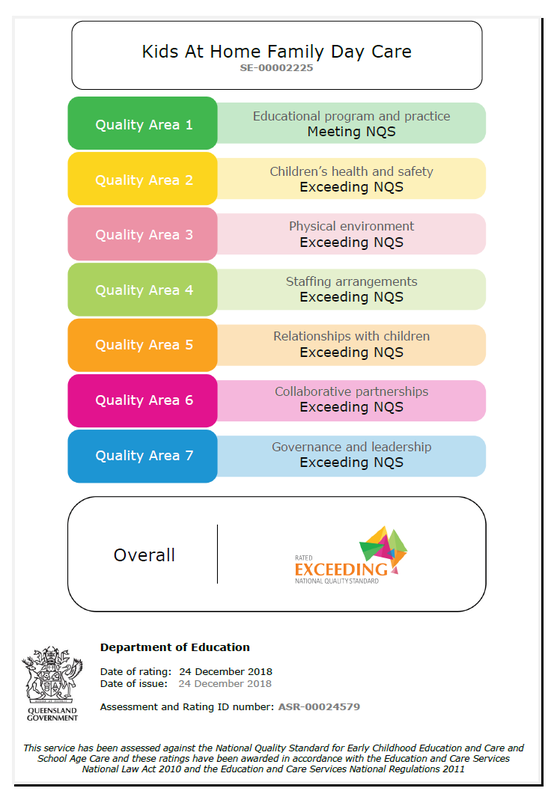 Kids at Home has been assessed through the National Quality Standards and has received an overall rating of “Exceeding National Quality Standards”. 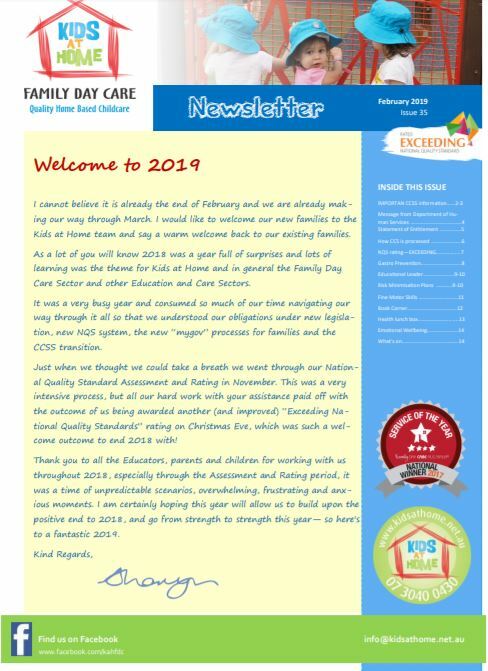 Our Service is one of the largest Family Day Care schemes in Queensland and has Educators from Hervey Bay down to the Gold Coast, with more starting every week. We are always seeking expressions of interest from existing or potential Educators in Queensland and Families seeking child care for children.